Specialized, state-owned and private commercial banks, including foreign commercial banks operating in the country, have already disbursed 88 per cent agriculture and non-farm rural credit in past 10 months from July to April 2017-18 financial year. 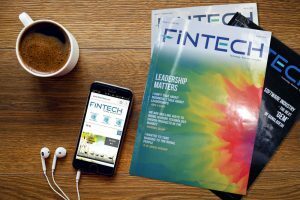 The schedule banks have disbursed a total of Tk 17,952.89 crore till April while the target is Tk 20,400 crore for the current fiscal 2017- 18, BB sources said. Foreign and private commercial banks have shown better performance than the public banks during the period. State-owned and specialized banks have disbursed 86.48 per cent loan of their total target while foreign and private commercial banks have disbursed 89.35 per cent of their target. 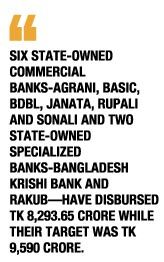 Six state-owned commercial banks—Agrani, Basic, BDBL, Janata, Rupali and Sonali and two state-owned specialized banks—Bangladesh Krishi Bank and RAKUB—have disbursed Tk 8,293.65 crore while their target was Tk 9,590 crore. But the foreign and private commercial banks have disbursed Tk 9,659.24 crore of their target Tk 10,810 crore. A senior official of the Bangladesh Bank informed the banks have been able to exceed the agriculture loan disbursement target in the last couple of years due to the BB’s strict monitoring over the firm loan disbursement trend of the schedule banks. Every month, BB holds a meeting with scheduled banks to expedite agriculture loan disbursement activities, he added. He said once state-owned commercial bank (SCBs) played important role in disbursement of farm and non-farm credit but the PCBs and FCBs are now secured the leading position in channelizing the farm credit and their recovery rate is highly satisfactory. Deputy Managing Director of Islami Bank Bangladesh Limited (IBBL) Abu Reza Mohd Yeahya said IBBL can properly disburse the agro-credit to farmers through Palli Biniok Prokalpa. About the recovery rate, he said the credit recovery rate is also high at 98 or 99 percent. During the 10-month, IBBL has disbursed Tk 1, 057.13 crore or 91.37 percent of their target Tk1,157 crore. BB’s disbursement target was Tk 14, 595 crore for 2013-14 fiscal, but the disbursement surpassed the target and stood at Tk 16,037 crore. Fiscals 2014-‘15, 2015-‘16 and 2016-17 also followed the similar trend with disbursement of Tk15,978 crore, 17,646 crore and 20,998.70 crore against the targets of Tk 15,550 crore, Tk 16,400 crore and 17,550 crore respectively.